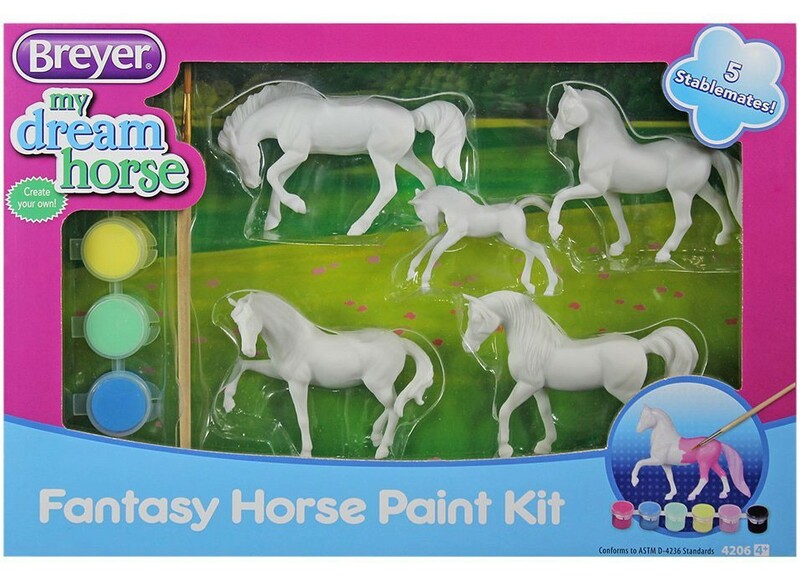 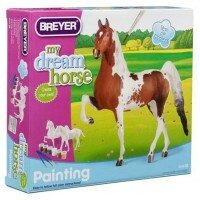 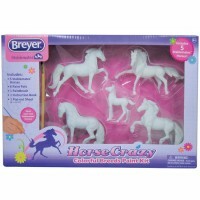 This Breyer Fantasy Horse Paint Kit lets young horse lovers paint their dream horses and create fun play scenes. 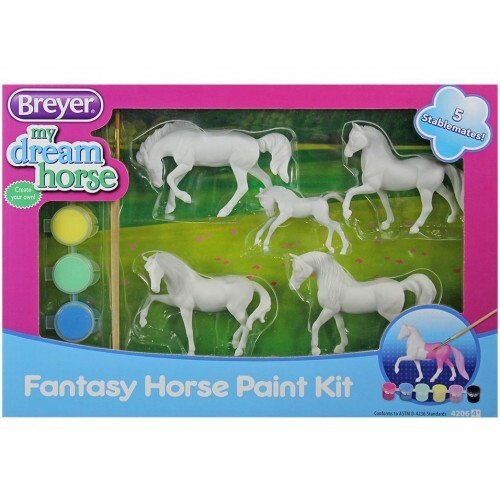 Two kids favorite things, painting and horses, come together in this new Breyer's craft kit.Breyer Fantasy Horse 5 Stablemates Paint Kit comes with all your young horse fan needs to decorate her own horse models. 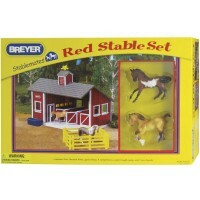 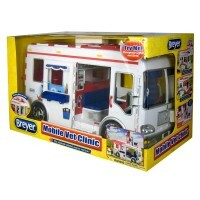 What Educational Toys Planet likes about this specific Breyer kit that it comes complete with the play accessories and turns into a horse playset. 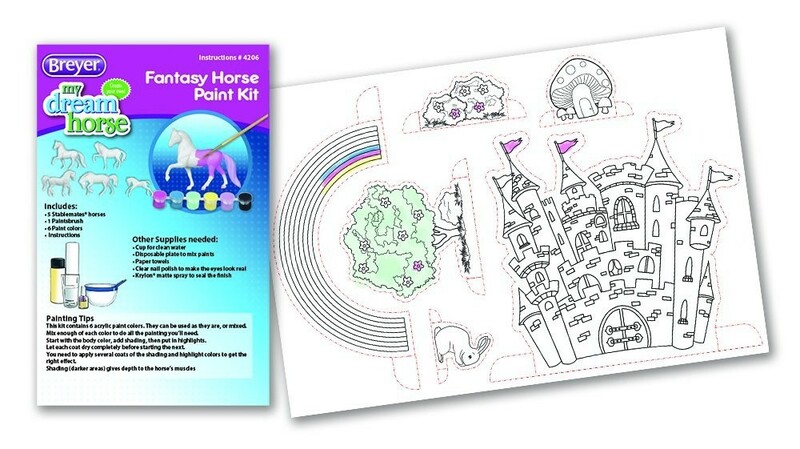 Be creative and paint magestic horse models, take the cardboard play pieces to create fantasy horse kingdom to play with your own pony figures again and again. 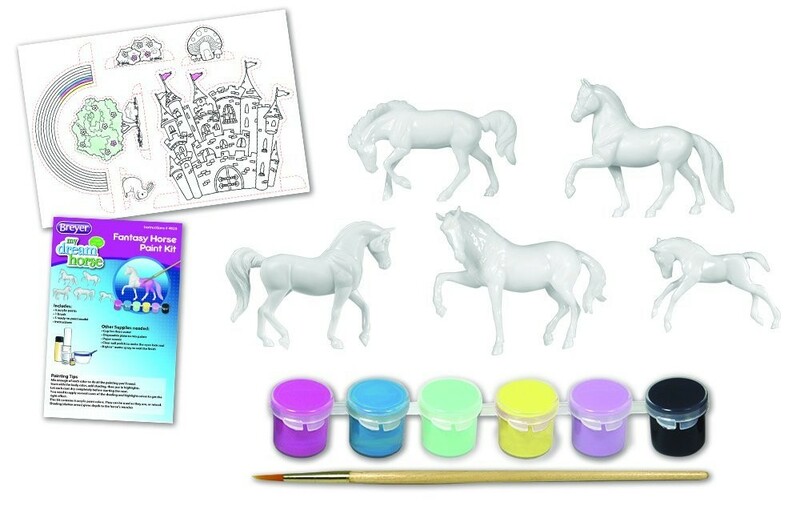 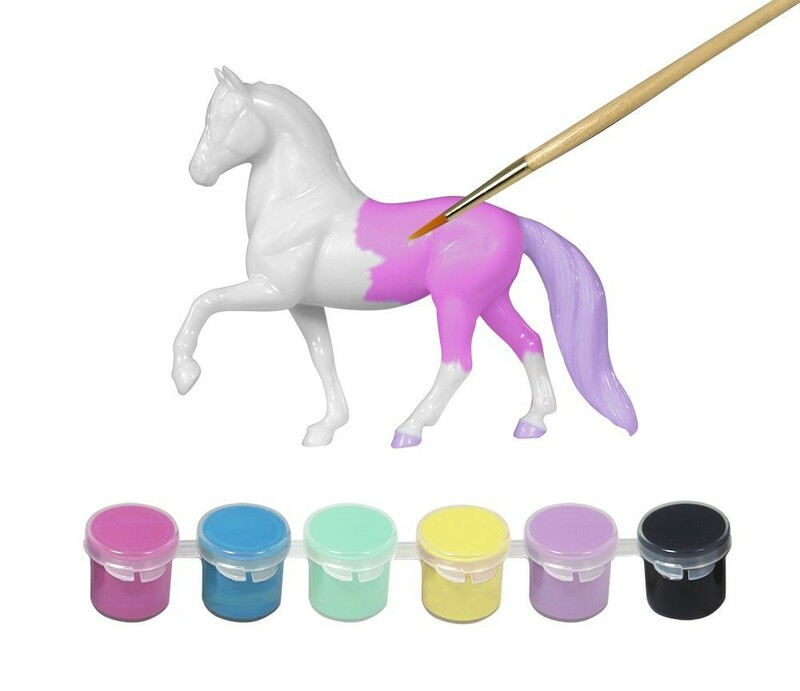 This 3D paint horse craft kit includes 5 horse figures, 6 fantasy paint colors, a paint brush, a sheet of pop-out play accessories, and an instruction booklet. 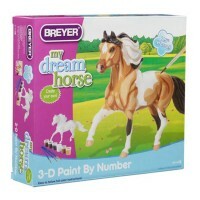 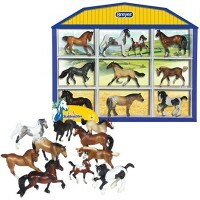 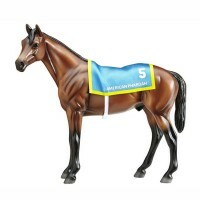 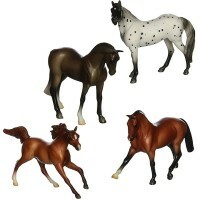 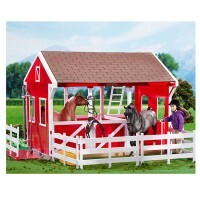 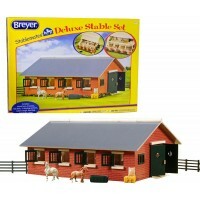 Dimensions of package 2" x 12" x 8.25"
Write your own review of Breyer Fantasy Horse 5 Stablemates Paint Kit.